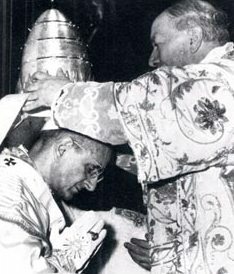 (Sacra Congregatio pro Doctrina Fidei, 24 Jul., 1966) Acta Apostolicae Sedis, 58-659. To all the Episcopal Conferences on 24 July, 1966. Since the Second Ecumenical Council of the Vatican, recently brought to a happy termination, has promulgated some very wise documents concerning both doctrine and discipline, in order more effectively to promote the life of the Church, all the people of God have a serious duty to strive with all earnestness to put into practice everything that was solemnly proposed or decreed by that vast gathering of Bishops under the guidance of the Holy Spirit and the presidency of the Supreme Pontiff. On the other hand, the Hierarchy has the right and duty to supervise, direct, and promote the renewal which the Council set in motion, so that the Documents and Decrees of the Council may be rightly interpreted and be put into effect with precise fidelity to their proper sense and intention. For this doctrine must be defended by the Bishops, invested as they are with the office of teaching authoritatively under the leadership of Peter. And, to their credit, many of these Shepherds have already begun to explain properly the doctrine of the Council. Unfortunately, however, from many sources dismaying reports have come, of growing abuses in the interpretation of the Council's doctrine, and of strange and bold opinions springing up here and there, which have seriously disturbed a number of the faithful. Researches and efforts to investigate the truth more deeply are praiseworthy, provided the distinction is clearly kept between what must be believed and what is a matter of opinion. But documents which this Sacred Congregation has examined show that there are many current declarations which go far beyond the limits of simple opinions or hypotheses and seem to affect in some degree the very dogma and foundations of the faith. It will be useful to mention by way of example some of these statements and errors as they appear from reports furnished by learned men and from published writings. 1) In the first, place there is Sacred Revelation. Some, purposely disregarding Tradition, have recourse to Sacred Scripture, but restrict the scope and force of biblical inspiration and inerrancy, and hold false views on the historical value of the texts. 2) As regards the doctrine of the Faith, dogmatic formulas are declared to be so subject to historical evolution that their objective meaning is subject to change. 3) The ordinary magisterium of the Church, especially of the Roman Pontiff, is sometimes so neglected and so little esteemed that it is almost reduced to the category of mere opinion. 4) Some scarcely acknowledge any absolute objective truth, firm and immutable; they regard everything as subject to a kind of relativism, on the mistaken ground that all truth must necessarily follow the rhythm of the evolution of conscience and history. 5) Even the adorable Person of our Lord Jesus Christ is attacked, for in the rethinking of christology the concepts of nature and person which are employed are such as can hardly be reconciled with defined dogmas. A sort of christological humanism creeps in, reducing Christ to the status of a mere man who arrived gradually at the consciousness of his divine Sonship. His virginal conception, His miracles, even His Resurrection, are verbally acknowledged but really reduced to the merely natural order. 6) So too, in the theological treatise on the Sacraments, certain elements are either ignored or receive insufficient attention, especially in regard to the Most Holy Eucharist. There are those who dispute about the real presence of Christ under the appearances of bread and wine, proposing an exaggerated symbolism as though the bread and wine were not changed into the Body and Blood of our Lord Jesus Christ, but were merely transferred to a certain symbolic significance. There are also some who unduly urge the concept of agape in the Mass, as taking precedence over the idea of Sacrifice. 7) Some choose to explain the Sacrament of Penance as a means of reconciliation with the Church, not expressing sufficiently the reconciliation with God who has been offended. They even claim that for the celebration of this sacrament the personal confession of one's sins is not necessary, and so they seek to express only the social function of reconciliation with the Church. .
8) As for the teaching of the Council of Trent on original sin, some either make little of it or present it in such a way that the original sin of Adam and the transmission of sin itself are at least clouded. 9) In the field of moral theology, errors are no less current. Several go so far as to reject the objective nature of morality; others refuse to accept the natural law and assert the legitimacy of so-called ethics of the situation. Pernicious opinions are advanced regarding morality and responsibility in the matter of sexuality and marriage. 10) Besides all this, something must be said about Ecumenism. Certainly the Apostolic See has praise for those who, in the spirit of the Conciliar Decree on Ecumenism, promote projects designed to foster charity for our separated brethren and to draw them toward the unity of the Church. But it deplores the fact that some are interpreting the Decrees of the Council in their own way and are urging a type of ecumenical activity which is contrary to the truth of the Faith and the unity of the Church, favoring a dangerous irenicism and indifferentism, a thing which is utterly foreign to the mind of the Council. It is true that these errors and dangers, taken singly, are scattered here and there; but taken all together in a summary group, they are presented to the local Ordinaries in this letter, so that each one according to his function and office may take proper measures to restrain or forestall them. This Sacred Congregation earnestly prays the local Ordinaries, when united in their respective Episcopal Conferences, to take action in this matter and to report to the Holy See offering their advice on it, before the feast of the Nativity of our Lord Jesus Christ of this current year. This letter, which obvious reasons of prudence prevent from being made public, is to be kept strictly secret by the Ordinaries and by any other persons to whom they may for sufficient reason decide to communicate it. AAS 58-659; S. C. Doct. Fid., 24 July, 1966. Was this recently "declassified?" May God bless the soul of Card. 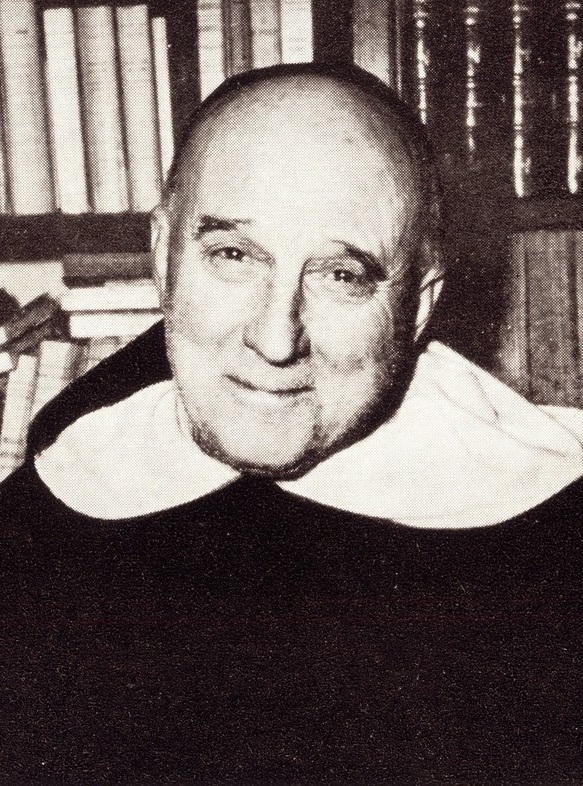 Ottaviani.